I’m alive! I’m alive! 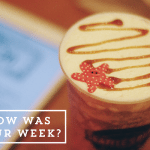 I’ve survived through a week of not blogging and keeping mostly away (at least as much as I could) from social media. I’m taking everyone’s advice and focusing on what I really need to do for the moment. That said, of course, if I’m able to find time or stay up late for awhile like in this case, I definitely want to share an update on the blog- which is what I’m going to do now. 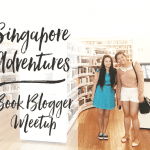 This week, I met the wonderful Alexa of Alexa Loves Books! She was in town for vacation so we grabbed brunch and talked books and New York! She’s already back there now but I can’t wait to see her again when I come over for BEA! Aside from that, summer school has started and I have a seriously hectic schedule (early morning until late evening). Because of this, I’m behind with my Goodreads reading challenge- not that I’m sweating about it that much. I don’t want to stress myself about reading so I’ll only do it when I can and when I’m in the mood. All the spare time I have for now has been dedicated to writing! At this rate, I hope to finish within the coming week. Let me tell you, it feels great to be ahead of schedule. What books have you acquired lately? Many thanks to Carmel of Carmel and Kyla for Walking Disaster, Alexa for the Loveathon books, Usborne and Mira INK for the review books! How have you all been? Hope you have a great week ahead! Sweet books! I’ve heard TSoM&Y is amazing, and WWITW looks eerily fun. Hope you enjoy them all! Yay for being ahead of schedule! 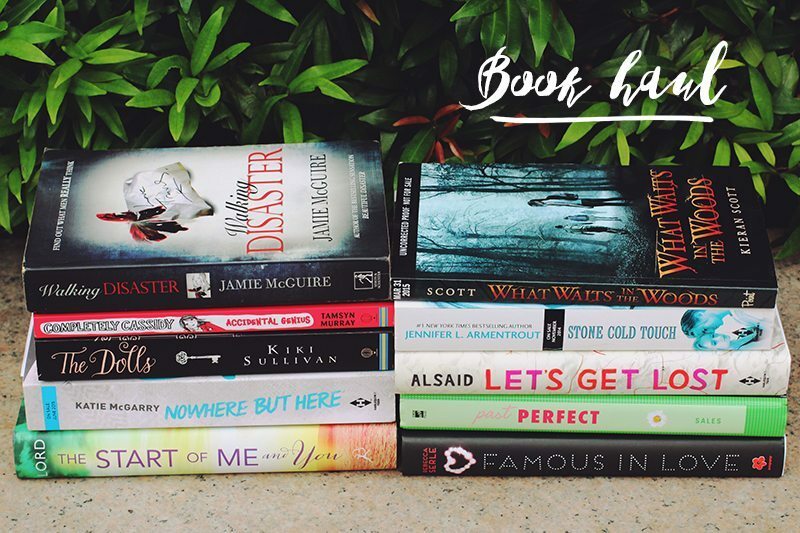 Your book haul is pretty sweet by the way – Have a great week! I’m glad to see that you have been taking some time to do what you need to do! 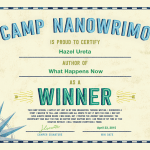 Your NaNoWriMo seems to be going really well – Congratulations! All of those books look amazing as well. I’ve had my eye on Lets Get Lost, The Dolls and The Start of Me and You for a while – I hope you enjoy them. Good job with NaNoWriMo! I’ve been wanting to do it for ages, but I’m always to busy. This month I had my own less fun version of NaNoWriMo: finishing a 4000-word English essay for my IB diploma. Blech. I’m so jealous of that book haul, especially The Start of Me and You. After Open Road Summer, I think I’d pay for Emery Lord’s grocery list. Ha! 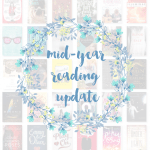 I have been such a horrible slacker with my reading and I am so behind on my Goodreads goal. This month I’ve mostly not been reading because of Camp NaNo, but I just go to 50k yesterday, so hopefully I’ll get to do lots of reading now. Way to go for you being so ahead! You can do it! But I can’t help but feel proud when my blogger friends ace their projects! And you’ve got some really good books up there! Happy Reading ( and writing) Hazel! 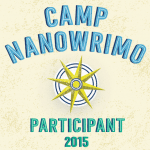 Wow Camp NaNoWriMo is really working!!! OMG. That picture of you and Alexa is precious! 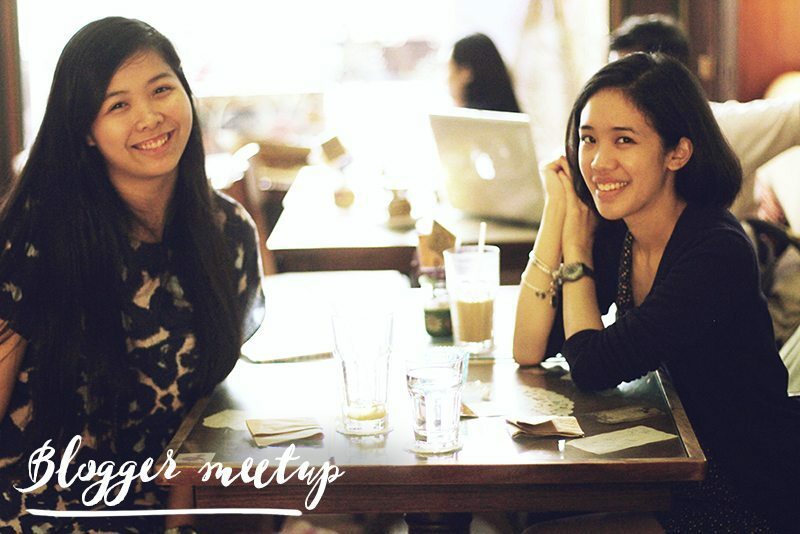 I hope that I’ll be able to meet my blogger buddies one of these days.